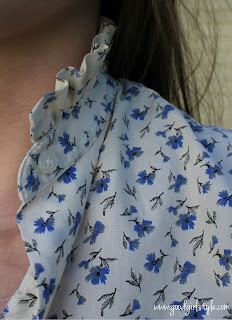 Sometimes I find oxfords are far too masculine for me, my shape, and my taste. 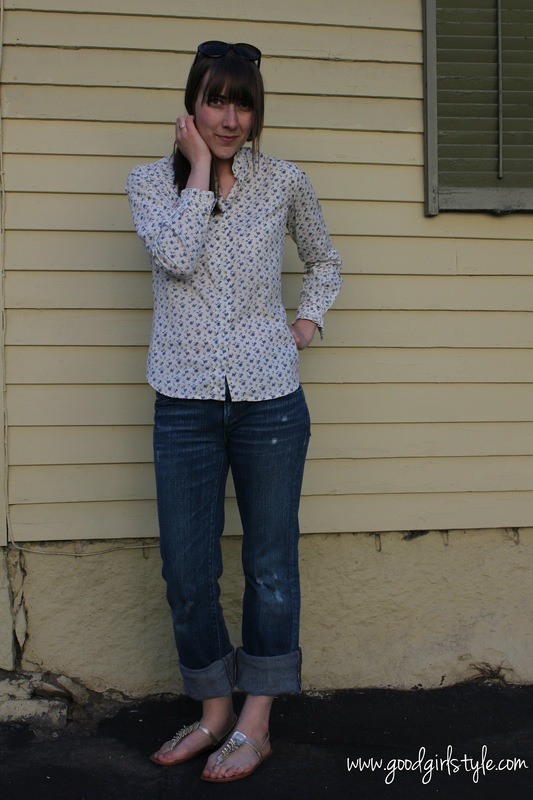 This vintage button-up has enough detail to make it feminine...cute side vents, ruffled collar & sleeves, floral pattern, and it's the perfect blend of being ultra-soft and yet crisp. 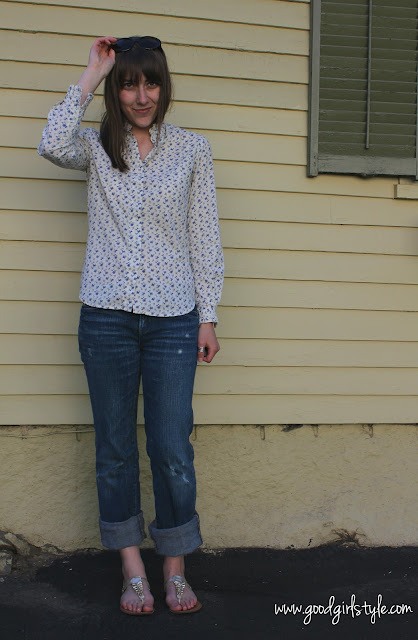 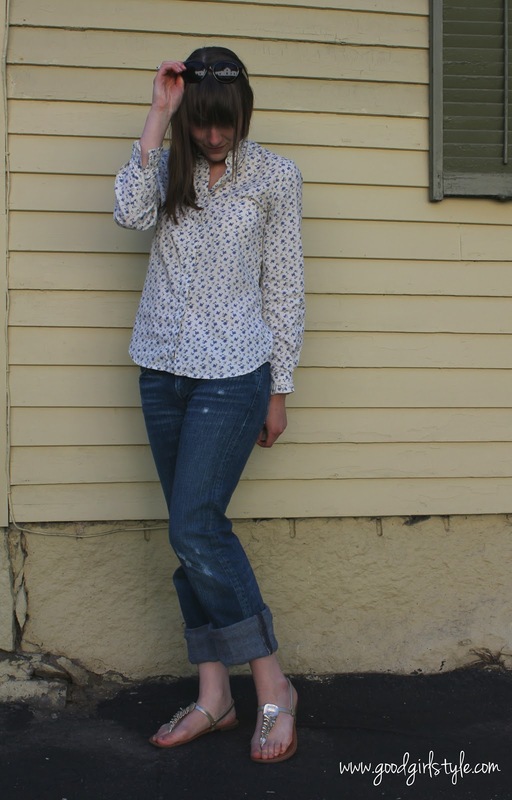 A blue floral print and jeans with just enough detail to keep things interesting...perfect for a breezy summer day!